A fallout of Cauvery water dispute is visible on the streets of Tamil Nadu. 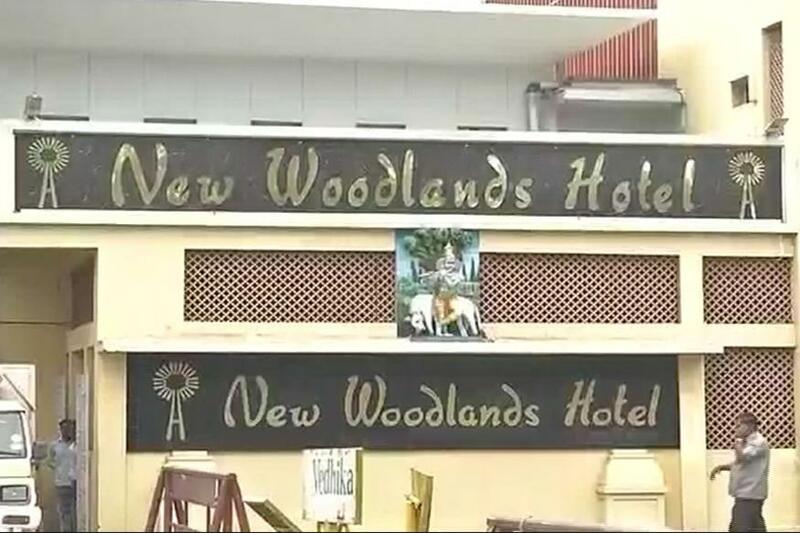 Petrol bombs were hurled at an iconic Udupi restaurant – New Woodlands hotel – in Mylapore on Monday. “Around 3.15 am, a group came to the hotel and damaged glass panels. It seems the group attacked the hotel in protest against Karnataka’s attitude in release of Cauvery river water,” a police official said. A hotel employee confirmed the incident, adding that no person was injured in the attack. Some pro-Tamil activists also targeted Karnataka registration buses in Ramanathapuram district in Tamil Nadu. According to reports, five vehicles were damaged during the attack. Protesters in Karnataka have also organised a bike rally from KRS dam to border town Mandya. Meanwhile, the Supreme Court will be taking up Karnataka’s plea in the case on Monday. The Karnataka government wants Supreme Court to change its order to release 15000 cusecs of water to Tamil Nadu everyday. The Cauvery Supervisory Committee headed by Union Water Resources Secretary Shashi Shekhar will also meet in Delhi on Monday. The committee will decide on the quantum of the river’s water to be released to Tamil Nadu and other states.